Paul Walker leaves behind Rebecca McBrain his girl friend and soon to be wife and his beloved daughter who lived with her mother in Hawaii for 13 years and then moved to California to live with Walker in 2011. And his dogs. Walker has a brown belt in Brazilian Jiu-Jitsu under Ricardo “Franjinha” Miller at Paragon Jiu-Jitsu. Walker was the son of Cheryl (née Crabtree), a fashion model, and Paul William Walker III, a sewer contractor, was born in Glendale, California. He was of Irish, English and German descent. His paternal grandfather was professional boxer “Irish Billy Walker”. The oldest of five siblings, Walker was raised primarily in the Sunland community of Los Angeles and attended high school in the San Fernando Valley, graduating from Sun Valley’s Village Christian School in 1991. He was raised as a member of the Church of Jesus Christ of Latter-day Saints. After high school, Walker attended several community colleges, majoring in marine biology. Walker acting began when he was a toddler and he starred in a television commercial for Pamper. He began modeling at the age of two and began working on television shows in 1985, with roles in shows such as Highway to Heaven, Who’s the Boss?, The Young and the Restless, and Touched by an Angel. That same year, he starred in a commercial for Showbiz Pizza. Walker’s film career began in 1986, with the horror/comedy film Monster in the Closet. He and his sister Ashlie were contestants on a 1988 episode of the game show I’m Telling! ; they finished in second place. In 1993 he played Brandon Collins on the CBS soap opera The Young and the Restless. He and his co-star Heather Tom, who played Victoria Newman, were nominated for Outstanding Lead Actor and Actress in a soap opera at the Youth in Film Awards. In 1998, Walker made his feature film debut in the comedy Meet the Deedles, which finally gained him fame. This subsequently led to supporting roles in the movies Pleasantville (1998), Varsity Blues (1999), She’s All That (1999), and The Skulls (2000). In 2001, Walker’s breakthrough role arrived when he starred opposite actor Vin Diesel in the successful action film The Fast and the Furious. The film established Walker as a notable film star and leading man and led to his reprisal of the role in the 2003 sequel 2 Fast 2 Furious. He continued his career with leading roles in films such as Joy Ride (2001), Into the Blue (2005), and Timeline (2003); he had a supporting role in Clint Eastwood’s adaptation of Flags of Our Fathers (2006). Walker starred in the independent film The Lazarus Project, which was released on DVD on October 21, 2008. He subsequently returned to The Fast and the Furious franchise, reprising his role in Fast & Furious, which was released on April 3, 2009. Walker then appeared in the crime drama Takers, which began filming in early September 2008 and was released in August 2010. He reprised his role in the fifth installment of The Fast and the Furious series, Fast Five (2011), and again in Fast & Furious 6 (2013). Upcoming films in which Walker starred or appeared in due for release are Hours set for release in December 2013, and Brick Mansions, set for release in May 2014. 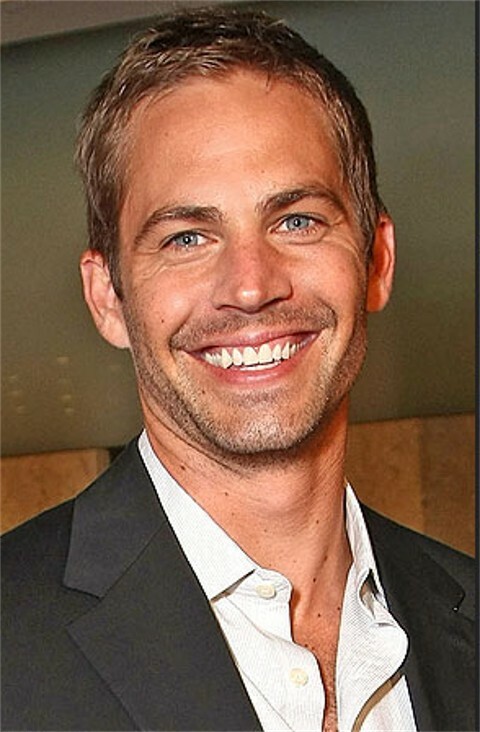 At the time of his death, Walker had been filming Fast and Furious 7, which was slated for release in July 2014. His death has forced the shooting of the film to be delayed while producers try to rework the film. He was also slated to play Agent 47 in the Hitman film adaptation.